Well, the biggest news of the week was, of course, my birthday. I am now 49 years young. And I would say all and all, it is a really good thing to be, well, OLD. Thank you ALL very much for the birthday wishes. Despite the fact it’s January, things are warm and barely covered with snow. I know the moose are happy, but it just doesn’t feel right. 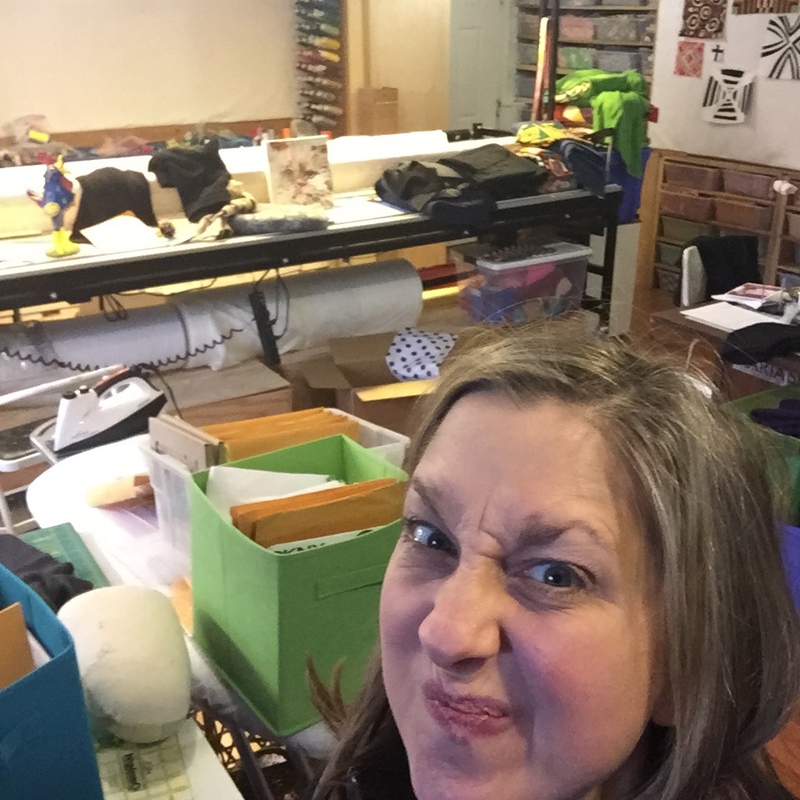 Last year, I got rid of all my knitting supplies. This year, I changed my mind. I am trying something new and, well, not my normal style at all. 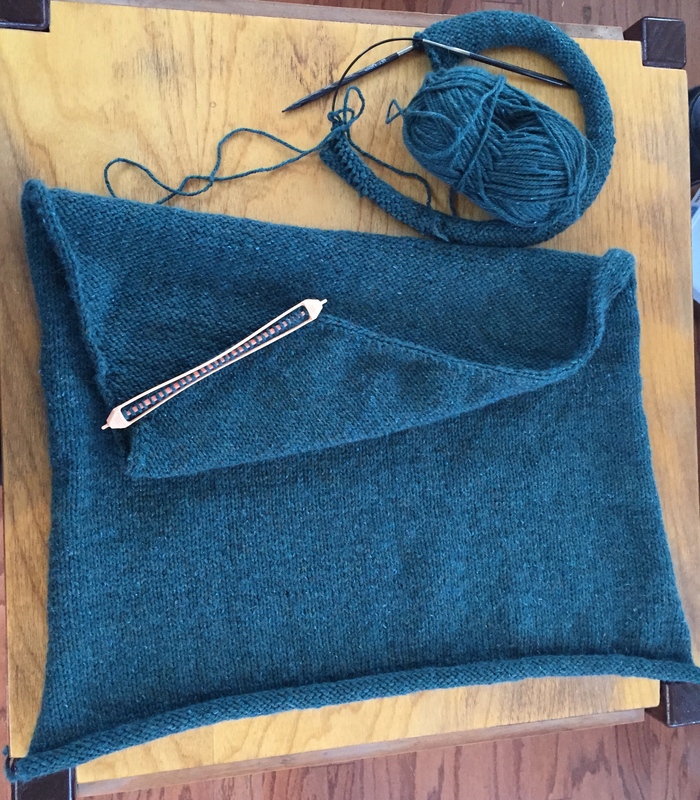 I am going to select, start, and finish one knitting project at a time. 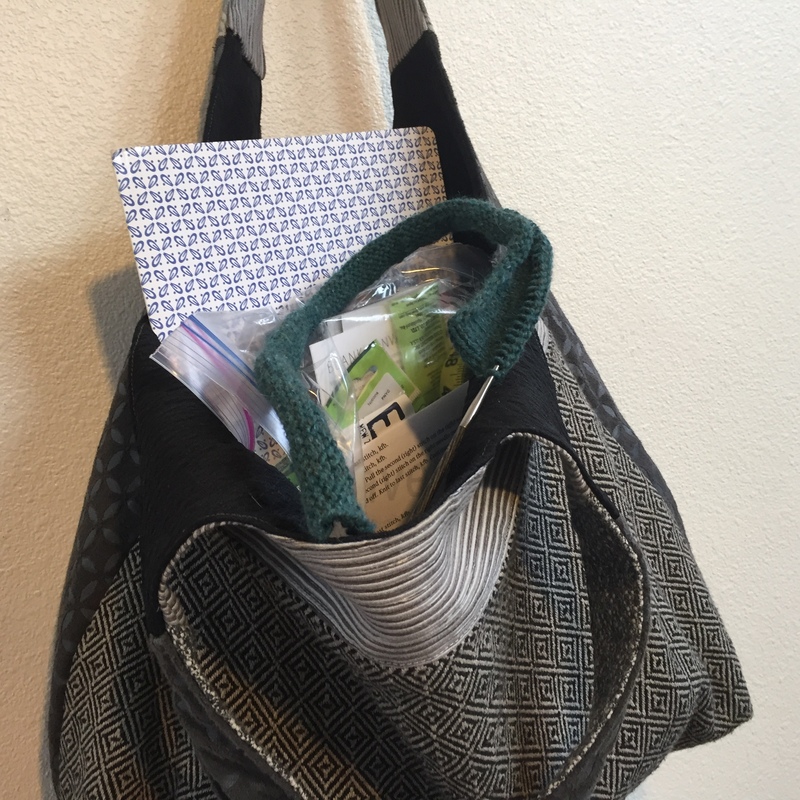 All knitting must fit into this bag. Some of you may recognize the Uptown Commuter Bag I made while at the McColl Center for Art + Innovation last fall. Project number #1 features this beautiful blue green yarn. Which is incredibly difficult to photograph. It is blue, it is green, and it is golden. I went to the Far North Yarn Co. here in Anchorage for assistance. 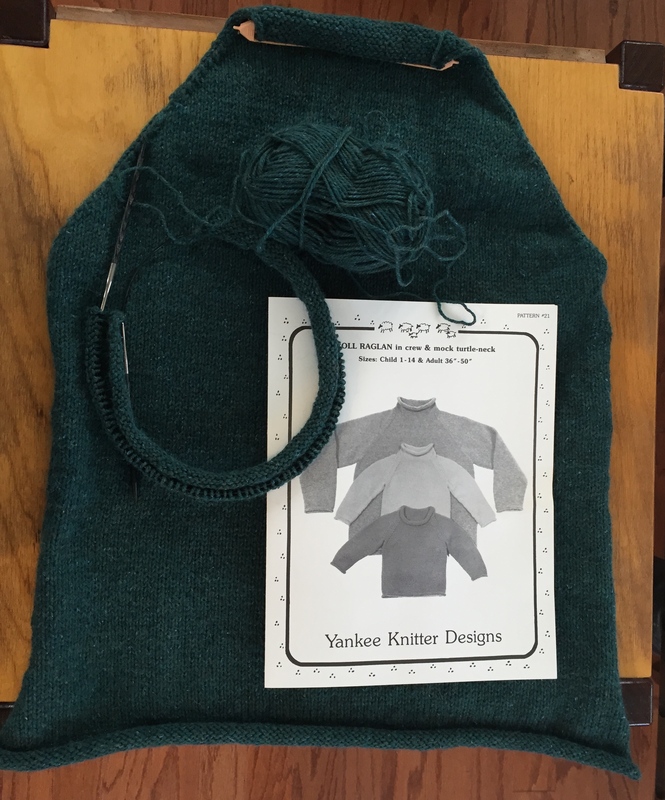 They helped me pick a simple, do-able, first sweater pattern. 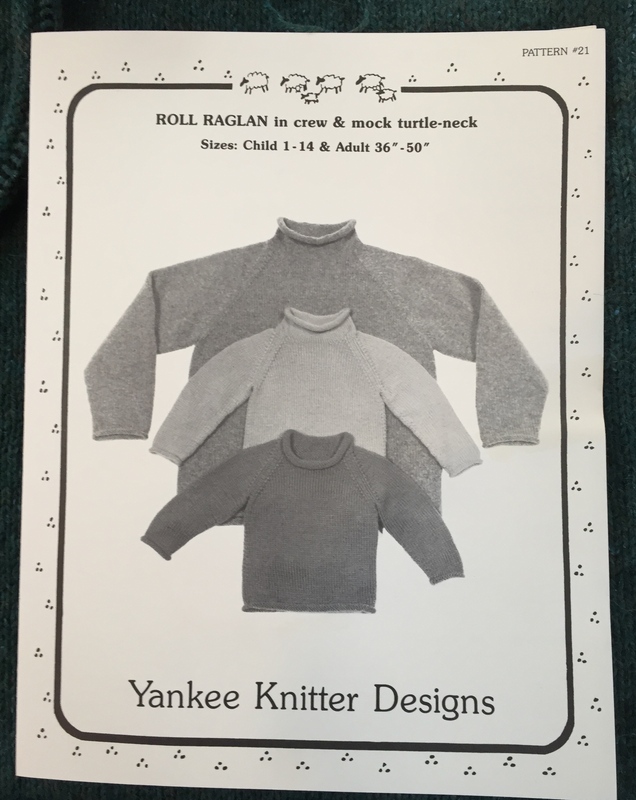 It is called the Roll Raglan by the Yankee Knitter Designs. I’m sure all you knitters and crocheters know about Raverly, but I had no idea. It is a web based community place all about hooks and needles. I am very distracted by this website. I did some serious photography of the quilts from the Great Alaskan Quilt Out which I will be writing more about later this week. I logged some serious hours making clothes. I am going to participate in Me-Made-May/Project EveryDay again this year and I will have JEANS, no denim pajama bottoms this year. The number of patterns that I have altered to fit my form is constantly growing. My favorite make of the week was this morphed version of the Aurelia Cardigan by Sew Liberated. Here is the pattern. And here is my final version. It’s made of a vintage wool jersey which was psychologically very difficult to cut up. It was worth it though. This is great dress up/dress down piece. Walt’s mom sent us this amazing family artifact. 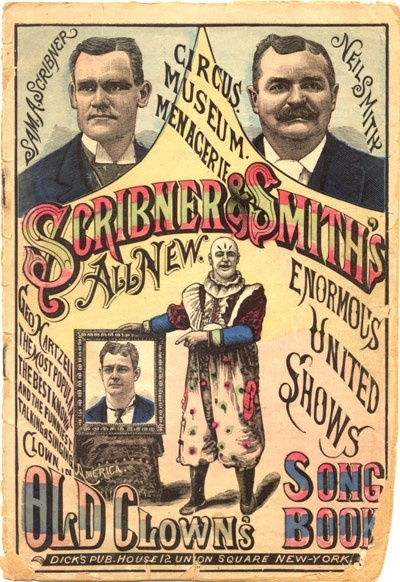 It’s a poster advertising her family’s circus. Yep, I married into a circus family–it’s a surprisingly good fit. Thinking about the Walt’s family’s circus background always makes me think of the book Geek Love by Katherine Dunn. It is an incredibly original story of a circus family, but it is much more than that. 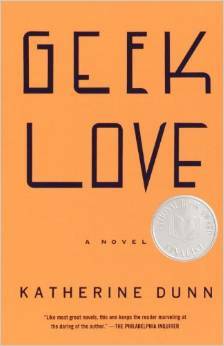 It is a story of love and the human condition and acceptance and fame and cult madness. It is so good, I think it’s about time I read it again. Joann Mattera shared this comic on her art blog . It’s so true; I had to share it here. 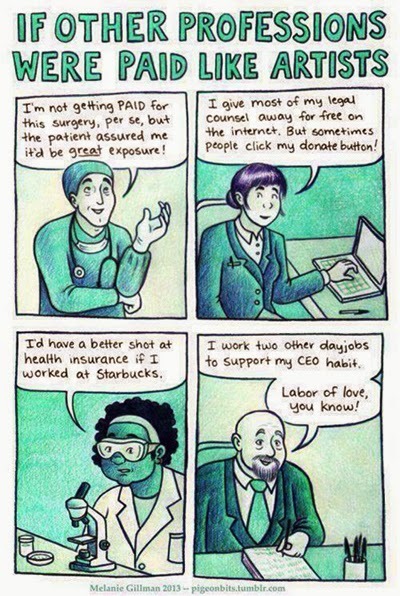 I would have to add one more panel for fiber artists. 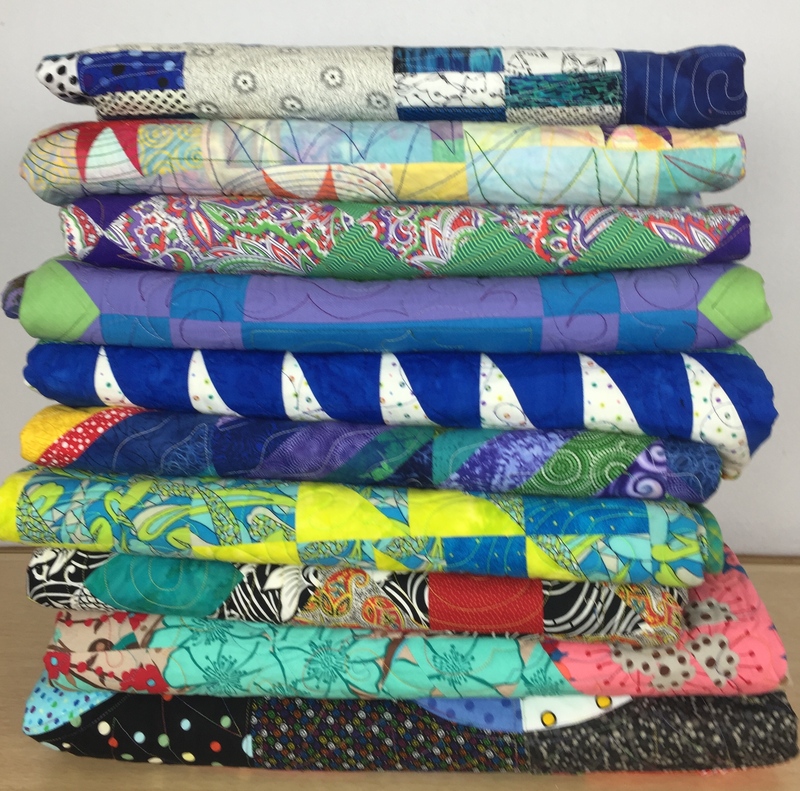 It would go something like this–you, the artist, are busy stitching away, and someone (it could be a family member even) asks you to hem their pants, make them a quilt, do their mending….you know for FREE cause well, you can sew. Would you ever ask you dentist to clean your teeth for free? I don’t think so. 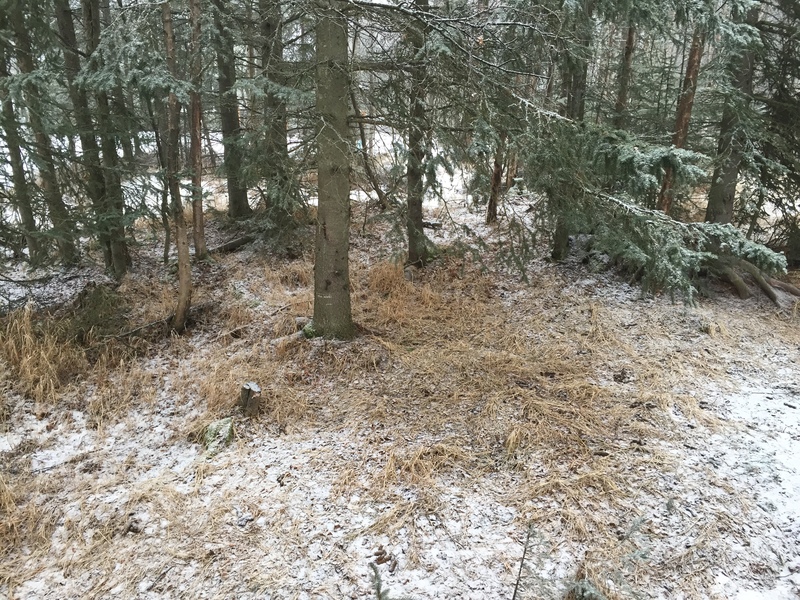 19 Jan	This entry was published on January 19, 2015 at 3:44 PM. 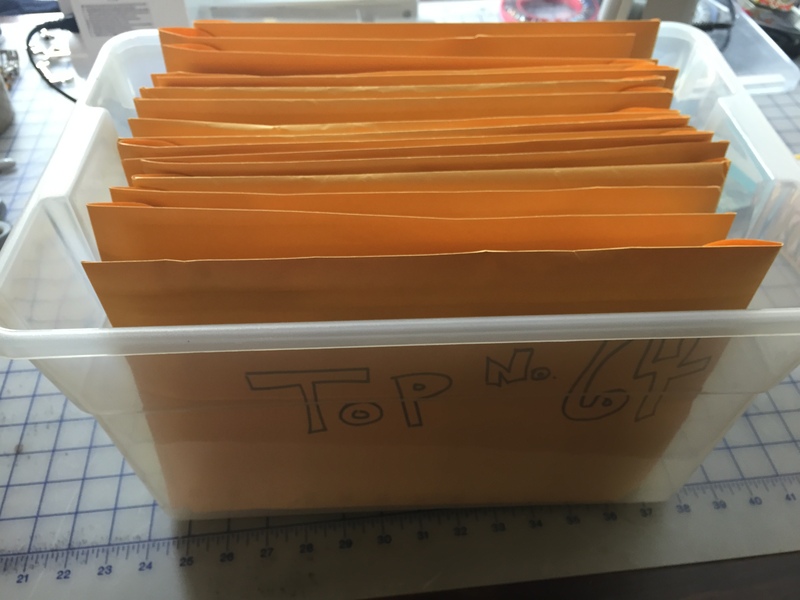 It’s filed under Image Journals and tagged week in photos, Yankee Knitter Designs. Bookmark the permalink. Follow any comments here with the RSS feed for this post. You rock too Grandma Patt. I admire your creativity. Happy Birthday! I remember 49….thinking that no one could doubt my “adulthood now by golly”. Someday when I grow up I want to join the circus! Wouldn’t it be fun to have that poster hanging in the dining room. Imagine the conversations that it would inspire! Thank you Mary! I know having a family circus is quite the conversation starter. I hope your new year is off to a great start!